The Case Sealers use a tape head closure or hotmelt to seal cases, cartons and boxes. The CSS22 Fully Automatic Random Side Drive Carton/Case Sealer is a servo driven machine that allows for smooth and quick height and width adjustments. The unique design of this machine allows for easy maintenance and use. 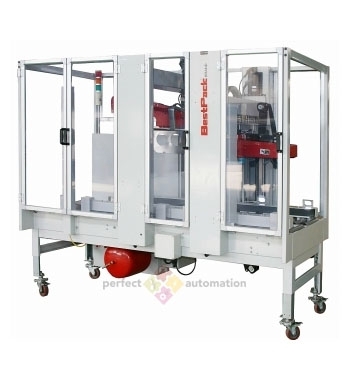 The CSS22 Fully Automatic Random Side Drive Carton/Case Sealer uses 3 independent operating stations; centering station, index station and random sealing station. The RQ22-2 Semi-Automatic Random Quad Drive Carton/Case Sealer uses exclusive pop out pressure sensitive ‘high speed’ tape heads. 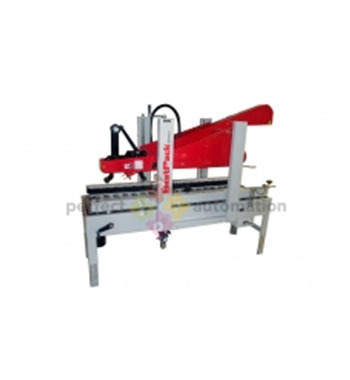 This machine incorporates a 2 belt system and is built for durability. 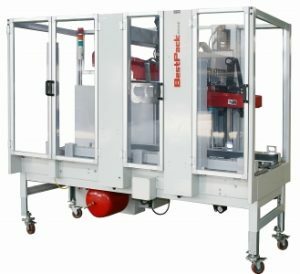 The RQ22-2 Semi-Automatic Random Quad Drive Carton/Case Sealer handles random box sizes with the use of height sensors. The RQ22-2 is a user-friendly machine that is easy to maintain. The RQ23-2 Semi-Automatic Random Quad Drive Carton/Case Sealer uses exclusive pop out pressure sensitive ‘high speed’ tape heads. This machine incorporates a 2 belt system and is built for durability. 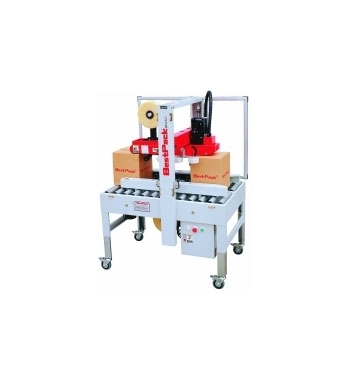 The RQ23-2 Semi-Automatic Random Quad Drive Carton/Case Sealer handles random box sizes with the use of height sensors. The RQ23-2 is a user-friendly machine that is easy to maintain. The AS22-S Automatic Side Sealer uses exclusive pop out pressure sensitive ‘high speed’ tape heads. This machine closes the carton/case with a flap closer and then conveyors the product to the taping system. The AS22-2 Side Sealer incorporates a 2 belt system and is built for durability.